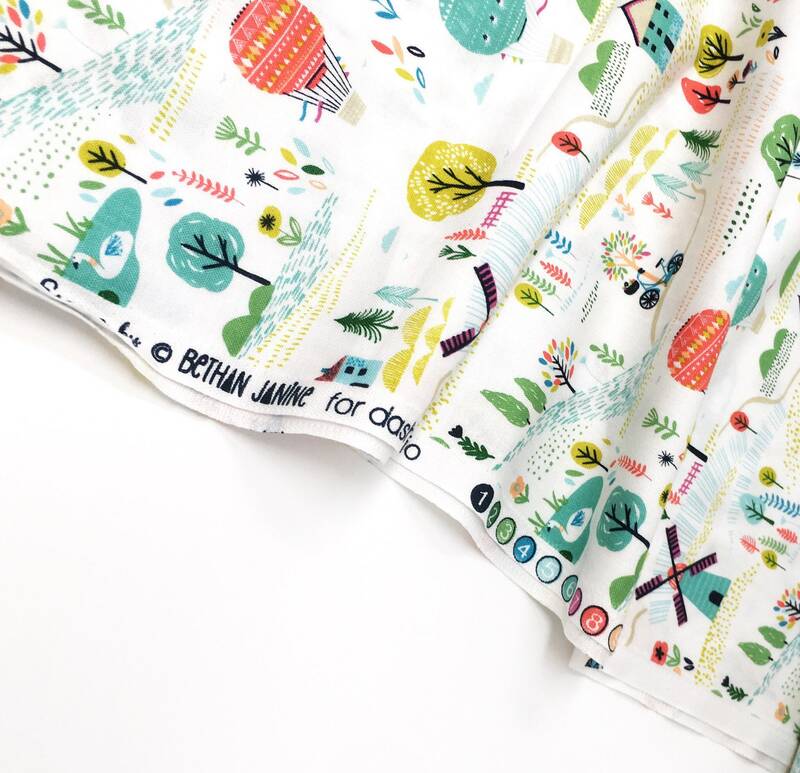 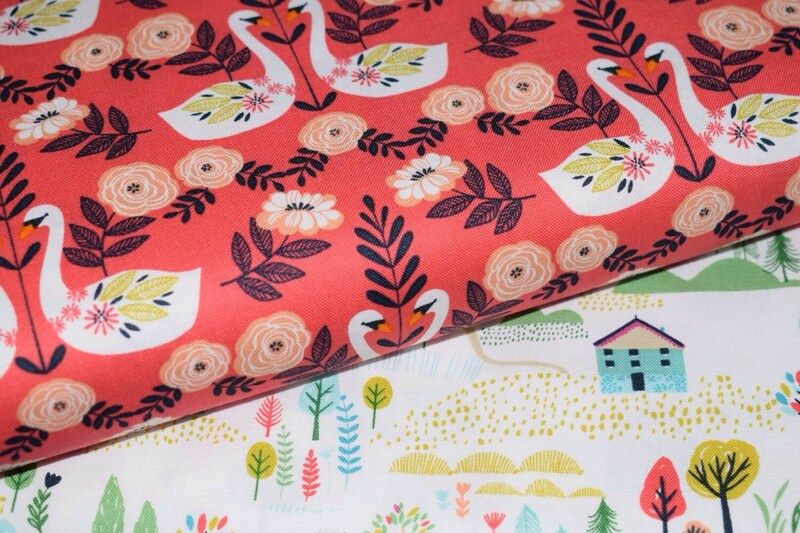 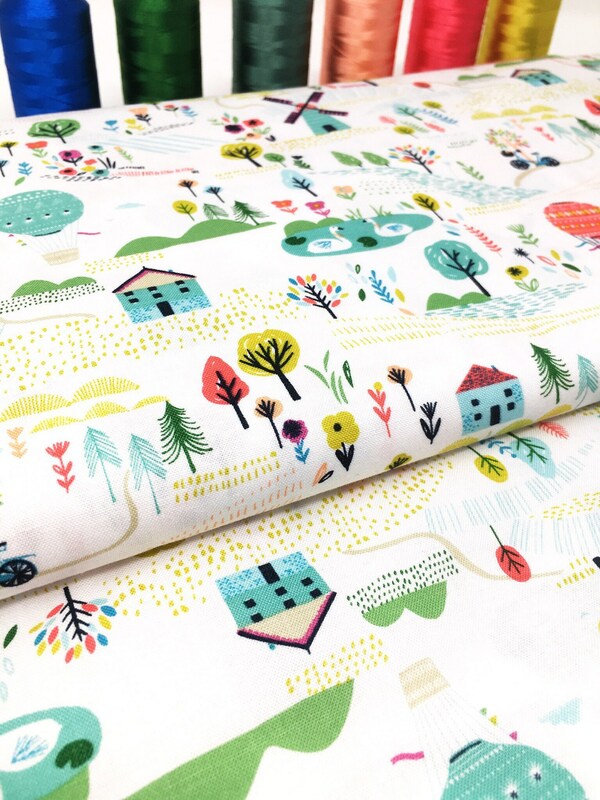 Dashwood Sweet escape by Bethan Janine printed cotton. 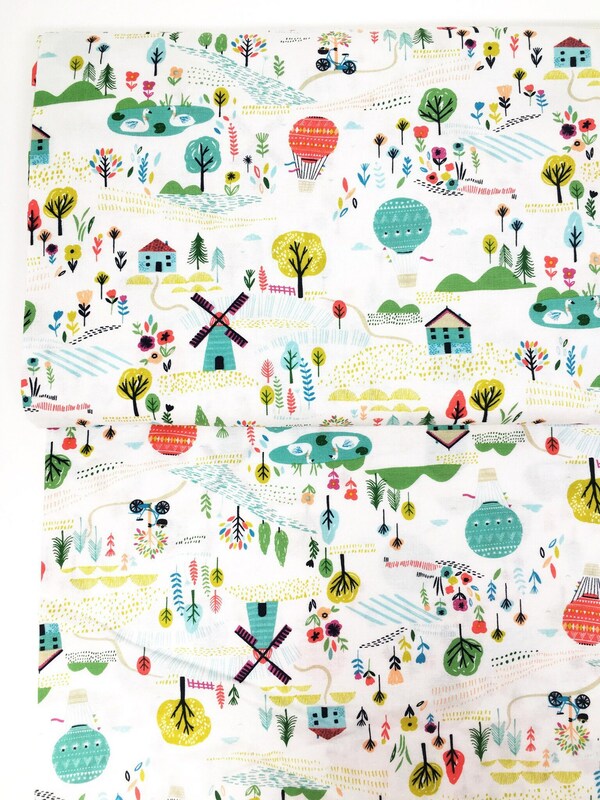 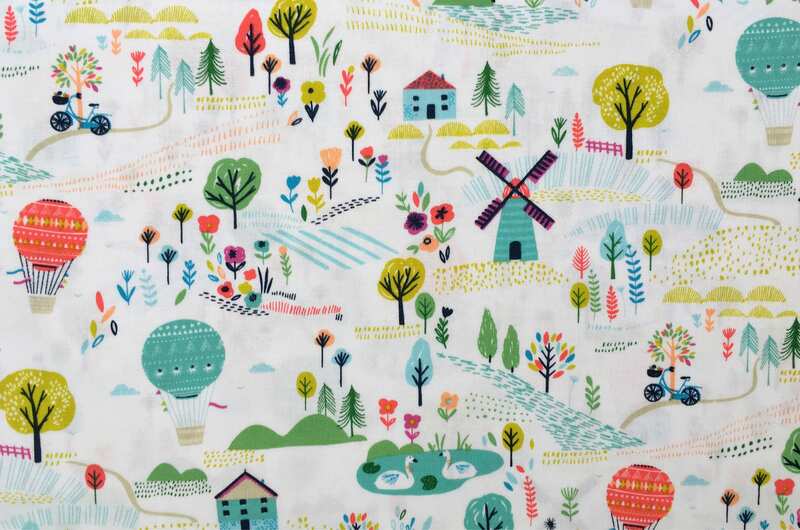 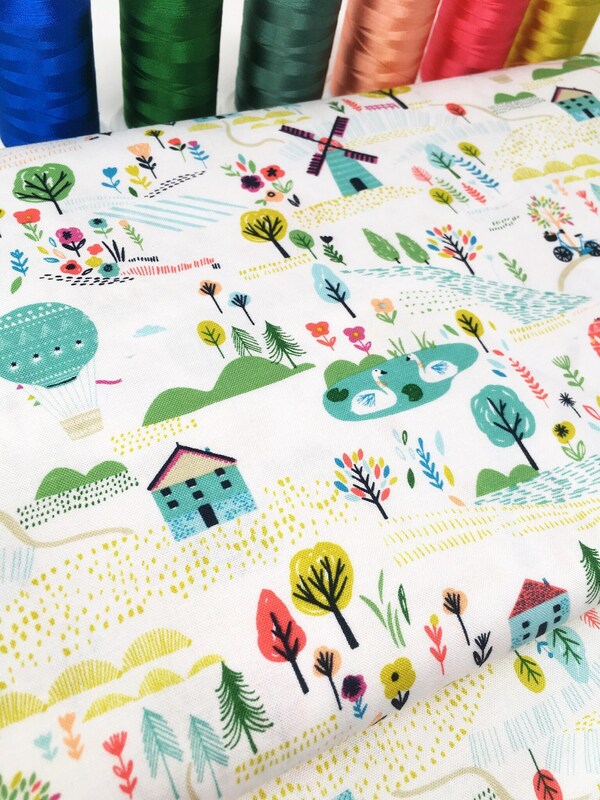 This fabric features windmills, trees, picture perfect houses, bicycles, hot air balloons and flowers. 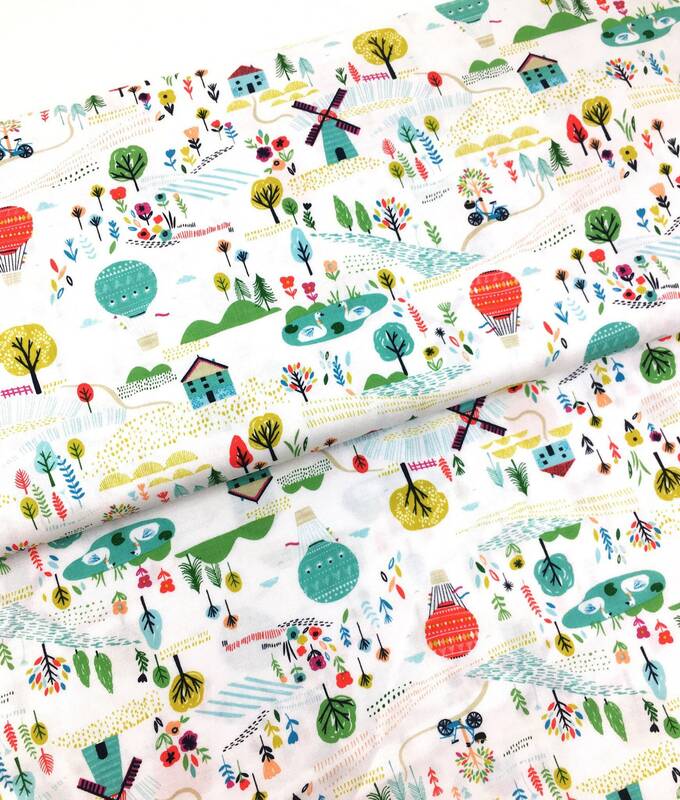 This stunnig Sweet escape quilt fabric is perfect for home decor and hot air balloon nursery decor projects as well as clothing and patchwork. 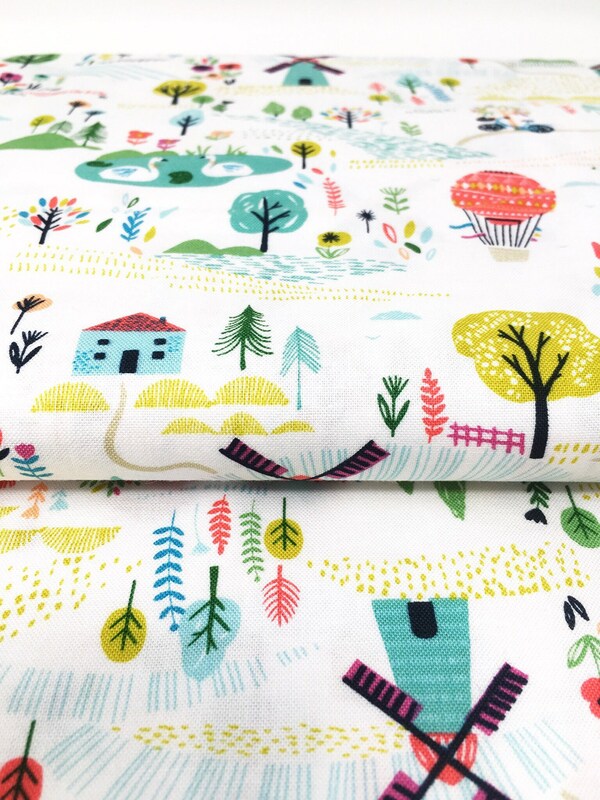 This gorgeous fabric is approx. 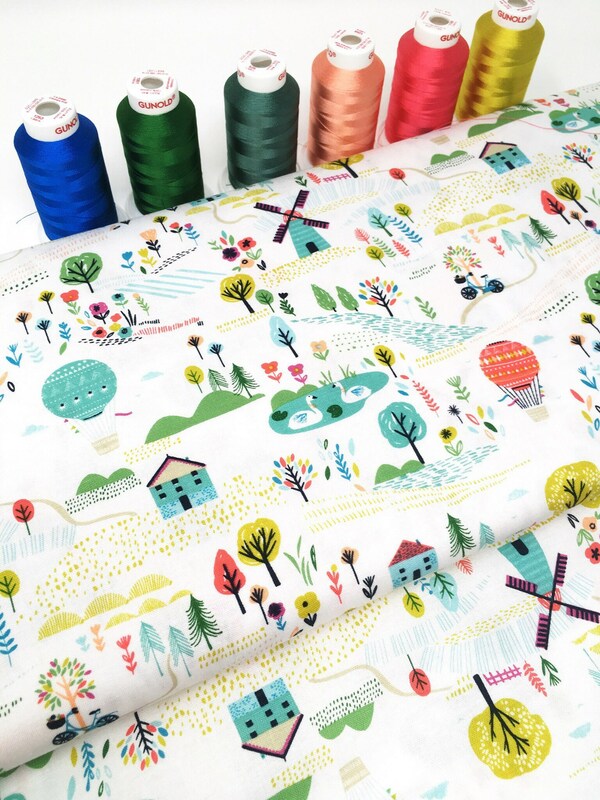 44 inches wide. 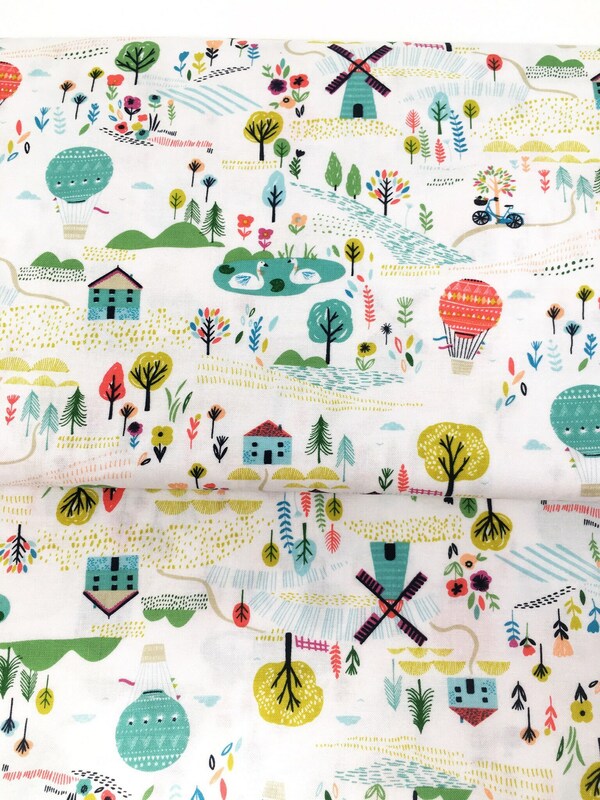 Matching prints and plains are available.